This past week I went back to teaching, and oh my it was a rude awaking to get up to that 6 am alarm after being off all summer! Fall has definitely made an appearance here in the Northwest. We've already had a few rain dumps and some cool cloudy days. I am not a cold weather person, but having the change of seasons to switch up your wardrobe is something to look forward to. If you keep a few basic pieces for every season in your closet, then it makes it easier to transition to the next season. However, sometimes it still can be challenging. If you are a fashionista, then you know there are the in- between seasons such as pre-fall: that little space of time when its still a little warm to hall out your cashmere sweaters, warm outerwear, and jeans. At the end of August , I try to plan out my fall outfits and organize the key pieces I need for the cool weather. By sorting and categorizing my closet, it allows me to maximize my current wardrobe. My mission lately is downsize my closet -ha-we'll see how that goes! This is a challenging task for ladies who eat, breathe, and live fashion! Getting creative with styling and mixing/matching what you already have: helps cut down on senseless spending. This way you may need to purchase only a few "on trend" pieces to complete your fall looks. Ideally, you need about 5-9 staple pieces for each season of the year. It might not be quite leather weather yet, but a skirt is easy to keep cool in. Midi length is perfect for this time of year. When the real cold weather arrives, you can add a pair of tights or over knee high boots to keep warm. I love leather because it's so versatile and comfy. A leather pencil skirt would also be a great choice for a fall and winter wardrobe. Leopard continues to be popular from one season to the next. As you can see from the name of my blog I am leopard obsessed! I never get tired of wearing it, and it has always been a staple of my wardrobe. This Autumn leopard is being named "Falls New Neutral." I think every fashionista probably has a pair of leopard shoes in their stash somewhere. I still prefer a classic pump over any other shoe. Pull out your leopard prints and use them as a foundation to build the rest of your look around. Wear it- love it, leopard is here to stay for a long time! A sweater that has holes in the shoulders for fall?!? Ha, well the "off the shoulder" trend was all the rage for spring and summer, as well as the "cold shoulder" tops. This piece has now transitioned as a must have piece for fall. Most of your arm is covered, and you have the option of throwing a light jacket on to keep warm. Cold Shoulder is a great style you can wear at any age. Middle age is a great time to discover new trends, I never let age stop me from dressing fun. I found this sweater at Macy's , and I am totally in love with it! I tend to shy away from sweaters, most of them have a way of driving me nuts because they are so itchy! This one has no itchy fibers thank goodness! I hope you are having fun planning out your fall wardrobe! Which trend is your favorite for fall this year? I have to say the cold shoulder is my favorite- so trendy and chic. I'm anxious to see all the new styles hitting the runway at New York Fashion Week coming up later in the week. I won't get to go this time, but I do get to go in February. 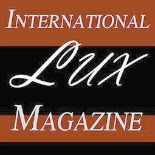 Prolific Quarterly the fashion magazine I write for. I have never been to NYC, and am excited to check it out. As always, thanks for stopping by today, I appreciate every visit and comment! Follow more of my stylish adventures on Instagram, Twitter, and Pinterest . What a great outfit! I especially love the sweater. You pull it off so well. Thank you for the kind words, hope you have a great day pretty lady! I love the cold shoulder look, I definitely need to buy one soon. 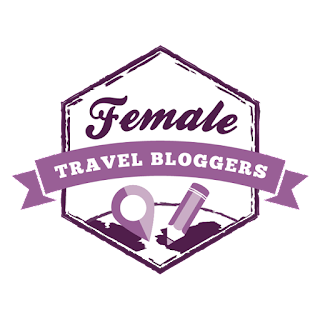 Hi Jamie...I love the name of your blog!! Thank you , hope you get one soon! Love cold shoulder jumpers and leather skirts - you look great! Awe thank you Kama, so kind of you, have a great at pretty lady! Love the outfit! I am loving the cold shoulder looks lately! Thank you Ashley..Yeah I love off the shoulder and cold shoulder sooo cute! Have a great day! Your outfit is super cute! 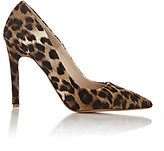 I've been looking for a perfect pair of leopard pumps, these are great! Thank you Sami...enjoy your posts in my insta pod! I hope your day is great!! That top is so cute! Living in Florida I rarely wear leather, but it looks awesome on you! Hi Rachel..How lucky for you to live in Florida..I am sooo trying to relocate somewhere warmer..Seattle is tooo cold!! Thank you for the kind comment and have a great day! I love your top and you can't ever go wrong with leopard shoes! Awe Thank you Logan, hope your week is going great!! You look smokin' hot in this outfit and so fashionable for fall! I love that sweater! Hey Lauren...ha ha..well thank you ! Thanks for the kind comment have a great day pretty lady! I really love the top! 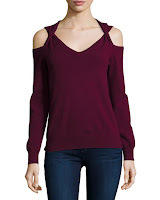 I have been looking for a bare shoulder top for Fall. Thank you Willos!! I hope you find one...Macys has a lot of choices, check them out online! I love the leather skirt! You look fabulous. I hope you have a great school year!!!! Awe thank you Missy..I appreciate your kind comment! I hope your school year is fab as well..hope the kiddos treat you well! I just picked up a cold shoulder top, I can't wait to try it! Yay Bri, have fun with it..I love them! Awe thank you, I love your name...my boss has the same name..so cool! Have a great day! What a great outfit! 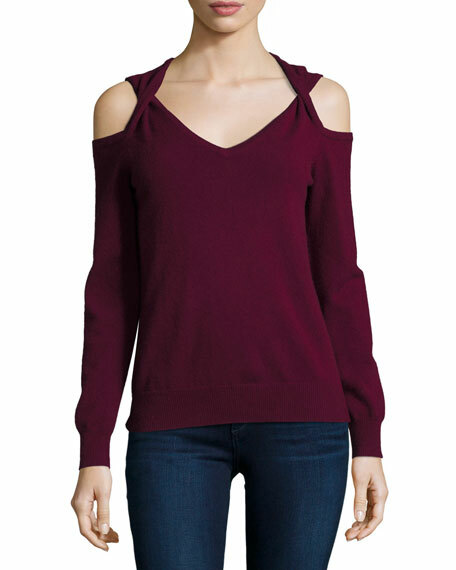 Loving the cold shoulder look for Fall. Hey Beautiful lady thanks for stopping by and your kind comment, have a happy fall! 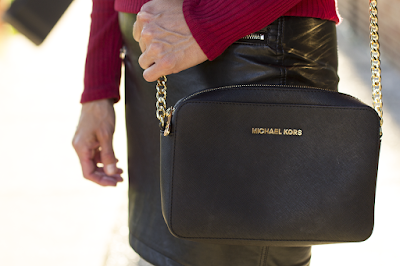 I really like this top and I love that Michael Kors bag. Great look for fall. Thank you so much...I wanted one for so long and finally found one I like have a great day ! You just can't go wrong with leopard pumps. Love. Hey Suzanne, I so agree they are the best to match up with so many outfits! Thanks for stopping here! 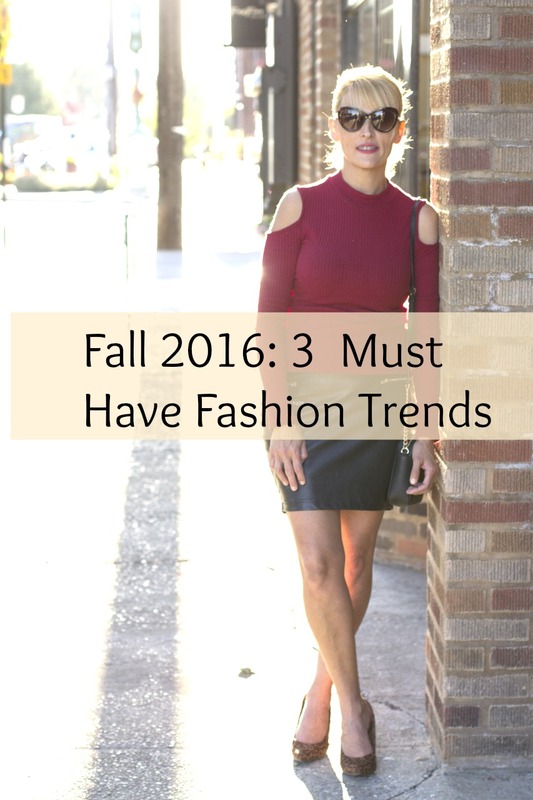 The cold-shoulder trend is still going strong, plus leather and burgundy are perfect for Fall. What a chic, elegant and yet edgy look. You incorporated all pieces nicely for a transitional Fall outfit. Come join my latest Thursday Moda linkup with this lovely outfit. Thanks! Thank you so much for the kind words and I will come link up have a great weekend! Wow Valerie, I love your outfit you look stunning <3 Love your pics, love your new blog design ( maybe just for me new ;) love your pinterest photo...everything just perfect!!! Awe thank you so much sweet Lara, you are such a doll, I miss you much! Let me know on a fb message when you are free and I will come to the eastside, cant wait to see your baby girl! Thanks Portia, hope you are enjoying the last of the sunny days..! can't wait to wear cutout knitwear and u look so hot! Awe Thank you Chichi....love cutouts this fall! Love all of these must-haves! That cold shoulder top looks amazing on you! Thank you Jill, happy fall! Such a cool transition to Fall. Love the look! Thank you so much for stopping for stopping by and the kind words! Thank you Lisa, just saw this.,..sorry ! I will stop by again!